Than Sadet is located on the relatively undeveloped east coast of Koh Phangan and draws all kinds of people from all walks of life and from all over the world to enjoy the pleasures that this laid back corner of the world offers.The atmosphere is still simple, rustic, and slightly bohemian, with the emphasis on keeping in touch with the roots of nature around. Than Sadet is translated "river of visited by Royals" as for more than a century Thai Kings would visit the area many times to walk up the waterfalls and bathe in the pools, they have even carved their initials on the granite rocks that grace the river. The area has since been declared a National Park due to it's historical importance and the abundant wildlife. The sandy Than Sadet beach is perfect for relaxing and soaking up the sun, however you will find very little shade on the beach itself. The clear water and reasonable depth make it a popular snorkelling and swimming destination. 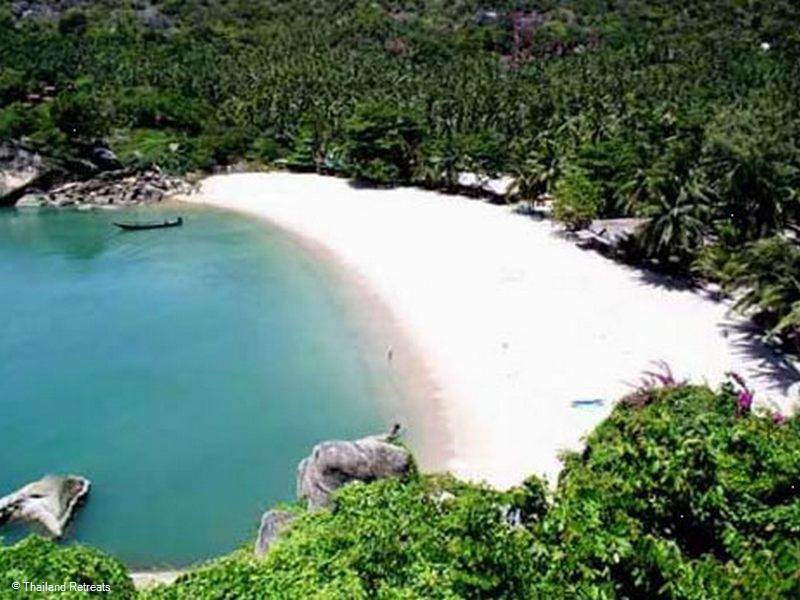 You can swim round to the neighbouring Thong Reng beach, which is smaller, but just as beautifu,l fringed with swaying palms and soft white sand. You can also walk back to Than Sadet via a bridge. 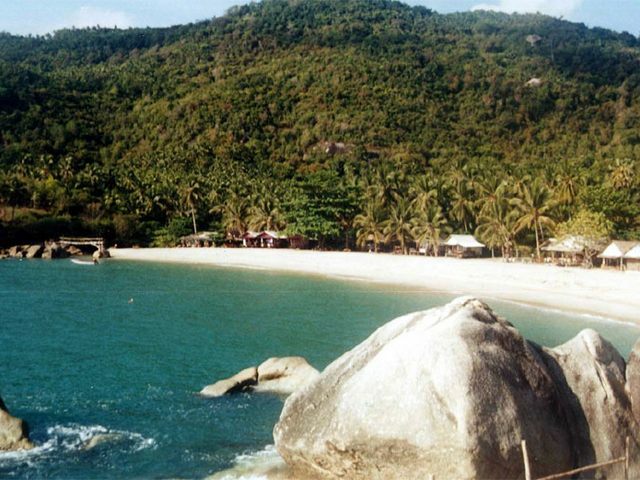 The beach is lined by a number of restaurants and there are also restaurants within the bungalow resorts. Mai Pen Rai Restaurant comes highly recommended, not only for eating but for information on the area as well. At this beachfront restaurant, the atmosphere is relaxed with good music and traditional Thai and Western Food. There is always an abundant supply of fresh seafood and daily specials often include freshly caught fish from around Than Sadet waters. Next to the restaurant is 'The Reggae Bar' as some call it; this is mellow, un-pretentious and a fun place to relax.